The Geo Alliance group is one of the largest independent producers of gas and gas condensate in Ukraine. It consists of 19 legal entities, of which the biggest ones are PJSC "Natural Resources" and LLC "East Geological Union". One of the main directions of Geo Alliance’s development is to increase the volume of hydrocarbon production. Under favorable conditions, our plan would be to accelerate our production growth through investment and the application of new technologies. Geo Alliance has a diversified portfolio of licence areas and is currently engaged in the development of 3D geological models for all of its assets. Geo Alliance maintains high level of operational efficiency through a ‘fit-for purpose’ procurement and contracting strategy combining the provision of services from local contractors and where needed modern high-tech equipment and services from industry leading international suppliers. The Group begins geological exploration on the Vysochanske, South-Orilske, Kosachivske, West-Efremovske, Taranushinske and Mirolyubivske fields and the commercial production of gas and gas condensate on the Zaitsivske field. The Group start exploration, including pilot-commercial development on the Lutsenkivske, Yasenivske, Lvivske fields. Completed drilling of well #9 on the Lutsenkivske field (the first well drilled by the Group). In March 2006, CJSC “Natural Resources” starts gas production on the Lutsenkivske field. Geo Alliance begins exploration, including pilot-commercial development on the Berestivske, South-Berestivske, Riznikivske, Koshevoyske, Bokhanovske and Makartsevske fields. Restructuring of the Group is completed. Geological data collected from 16 licensed fields and the first six detailed geological models were developed. Focus on the development of high-priority fields using leading seismic and drilling technologies. An intensive 3D seismic acquisition program. Conversion of special permits into production licences. Design and implementation of field development plans. Based on seismic data, the Group continues to explore and develop its assets. Geo Alliance Group conducted the formation stimulation procedure at the depth of 5000 m, which is unique for Ukraine. 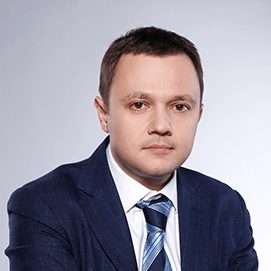 The Group kept leading position in the condensate production among independent companies with a market share of 28%, and it is one of the leading private companies on natural gas production in Ukraine. Has 15 years of experience in the oil & gas sector in a variety of roles. Joined the company from its inception in 2004. Prior to being appointed Chief Executive Officer in 2013, was in charge of Finance Department. Has 17 years in the oil and gas sector. 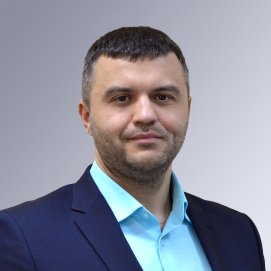 Ivan has extensive experience in oil&gas production, fields infrastructure development, workovers and drilling. Appointed Chief Operational Officer in 2018. More than 25 years of international E&P experience in the FSU, Middle East and Africa from a variety of platforms: super-major (BP), service company (Western Atlas), independents (Monument, Arawak Energy). 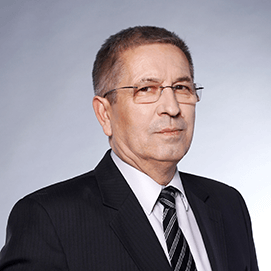 Mr Mustafaev was appointed Commercial Director in 2013. Has more than 40 years’ experience in the oil and gas sector. Joined the company in 2009. 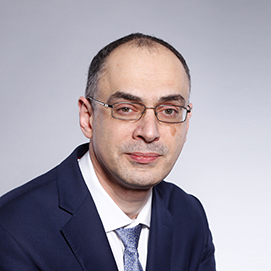 Has more than 20 years’ experience in the legal sphere, including 13 years in executive positions. 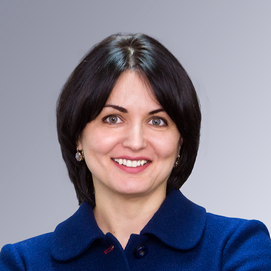 Appointed Head of the Legal Department in 2011. Geo Alliance is involved in the geological exploration development, and production of natural gas, gas condensate and oil in Ukraine. Our clear trend has been the continuous growth of production as we progress the development of our gas, condensate and oil assets. See the chart below. Mon-Fri 8 a.m. - 7 p.m.